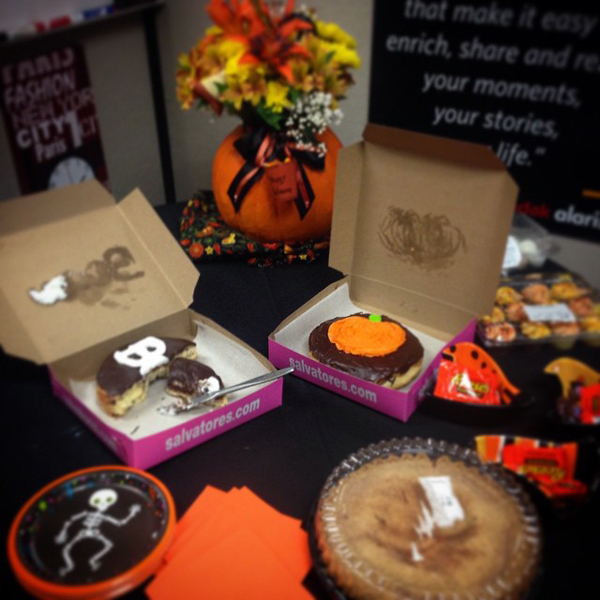 We enjoy a good holiday celebration (aka food) in my office so instead of just one day, we had two days of Halloween treats. 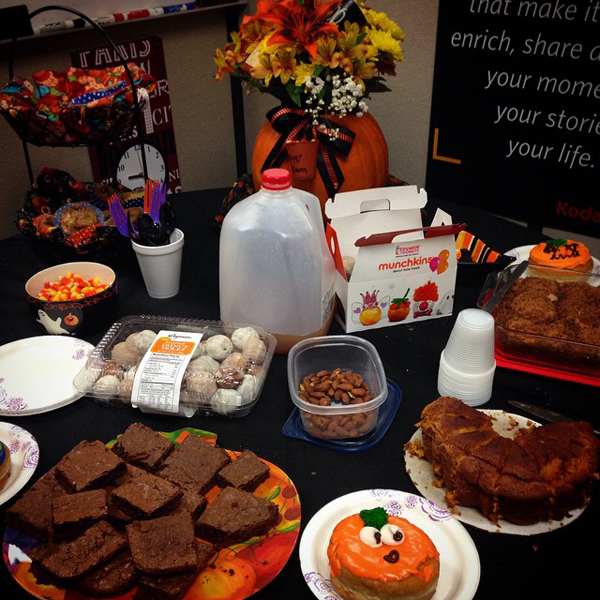 This was part of the spread on Day One. And this was a fresh spread for Day Two. Seriously we love to eat at work and sometimes I wonder what would happen if we had a situation like this... "Cake Left Out In Break Room With No Instructions" Hah hah - that article cracks me up. "At press time, the sight of the company’s IT technician walking down the hallway with a slice of cake had reportedly triggered a mass scramble toward the kitchen." Anyhoo - on Day One I brought in my old standby party food - artichoke dip (recipe). 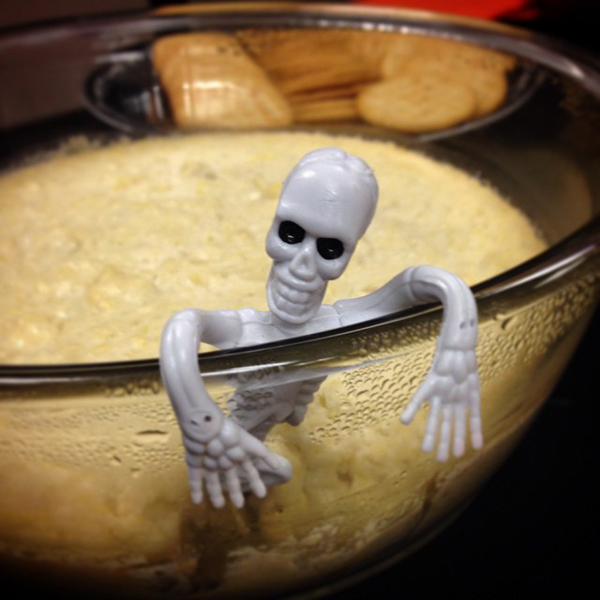 I added a twist though... Skelly here was crawling out of the dip. On Day Two I didn't have time to make something because there was also a jack-o-lantern carving contest at work. 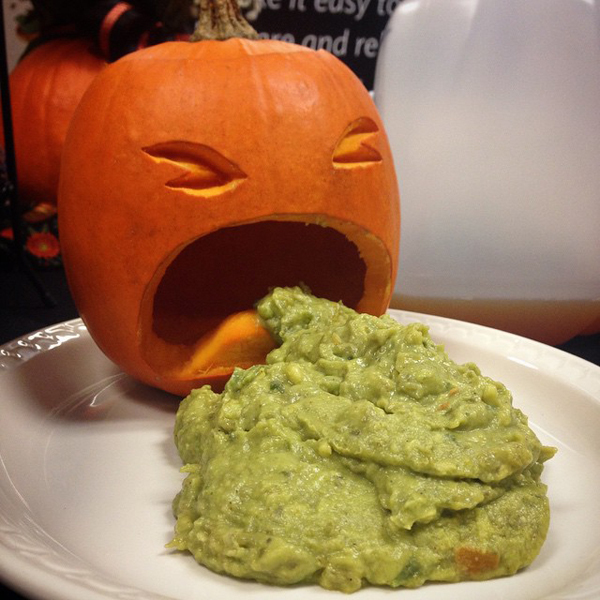 I combined my snack food with my entry into this presentation - guacamole puking pumpkin! 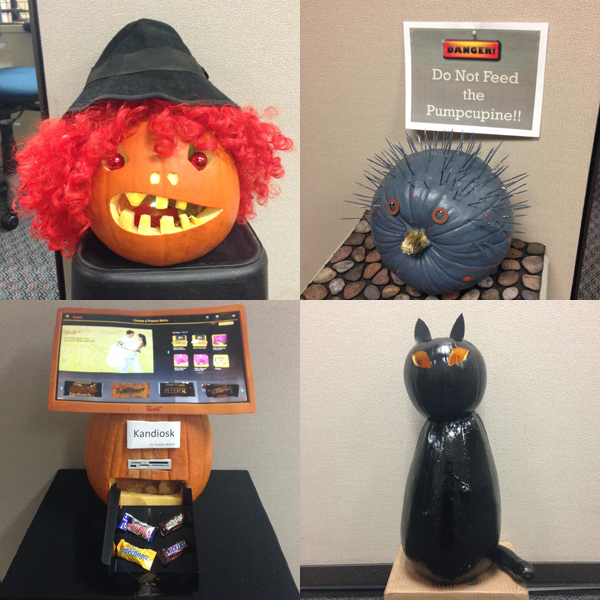 There were some great pumpkins around the office!